After an action-packed duel that lasted 10 hours, the Italian Poker player Buonanno eventually got the Trophy of the European Poker Tour Grand Final 2014. He ousted the British professional player Jack Salter. In addition to the trophy, the 47 years-old former owner of a clothing store won the prize pool of $ 1,240,000 and a total of 2,100 points, the sum of which allows him to secure a good position in the Card Player of the Years ranking. 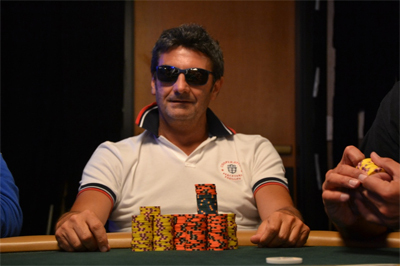 It should be mentioned that Antonio is the only finalist who had paid a buy-in of  10,600. The other players had just won their places in the qualifying satellites of  1,700. For Antonio Buonanno, it is his greatest exploit in live circuits. His runner-up, the one who surely didnt expect Antonios victory bagged the second prize of  765,000 and a total of 1,750 points to qualify in the Card Player of the Year standings. The bronze trophy was given to Malta Moennig. Alongside that tournament, a new champion in the High Roller event of  25,000 buy-in had just arisen last weekend in the EPT Grand Final. It is about Phillip Gruissem. This young poker player of 27 has just won the 14th title of the poker tournament and he has also received an amount of  993,963 prize. It can be considered as Phillips symbolic performance since the final table was particularly dominated by him. Scott Seiver occupied the second position and won $ 1,189,512, followed by Davidi Kitai. John Juanda, Byron Kaverman, Martin Finger, Stephen Childwick and Chenxiang Miao are respectively 4th, 5th, 6th, 7th and 8th in the list.